WE ARE A GENERAL CONTRACTOR SPECIALIZING IN DECKS, FENCING, & CUSTOM OUTDOOR ROOMS. Dedicated to providing our clients the very best in INNOVATIVE DESIGN & QUALITY CONSTRUCTED OUTDOOR LIVING AREAS at a reasonable cost is what we're all about. 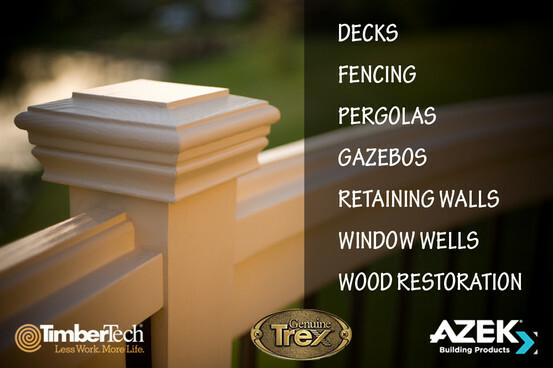 Looking for a contractor with expertise in decks, fencing or custom outdoor rooms? Locally owned & family-operated, we have been proudly serving the Indianapolis area since 1995. Put us to work for you! Estimates are always FREE!